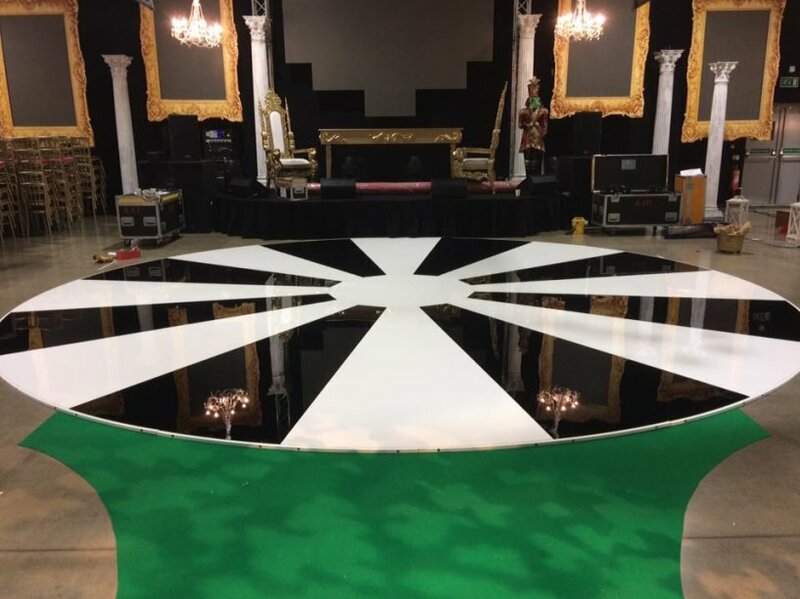 This year we have taken delivery of our custom made circular dancefloors. Working closely with the manufacturer to design the floor to suit us and our client’s needs. We have had the floors made of the same rigged acrylic that the normal floors are made from which ensures a glossy finish just like our other floors. 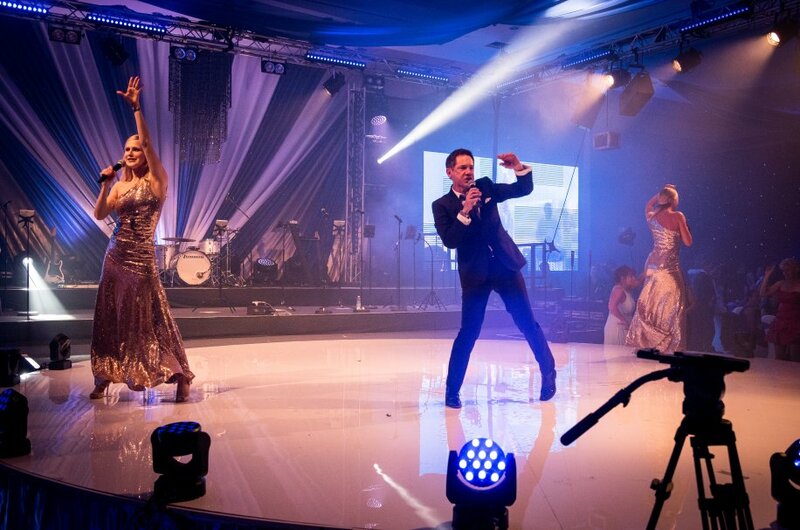 As you can see from the pictures the circular floor does add a very classy look to any event space. Also with its rigid acrylic top the lights in your venue will shine off it adding to your effect. 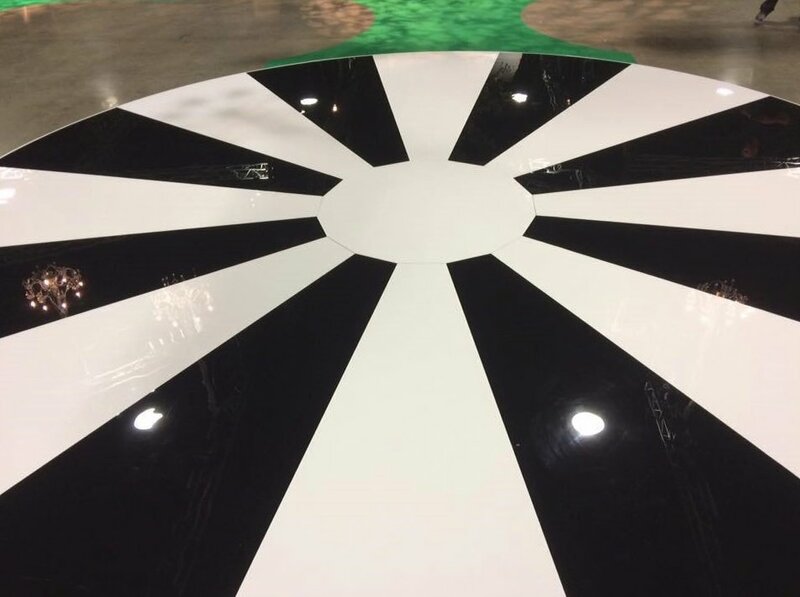 For that extra look why not combine our two 24ft floors to create a 24ft black and white floor that nobody else has.